OAR PSNT - "It is time to get down to work in order to build a more synodic, inclusive Church, open to dialogue with the world, poor, servant and witness of the Gospel"
"It is time to get down to work in order to build a more synodic, inclusive Church, open to dialogue with the world, poor, servant and witness of the Gospel"
Coinciding with the celebration of his golden jubilee as a priest and a recent visit to Pope Francis, the Augustinian Recollect Eusebio Hernández, Bishop of Tarazona (Zaragoza, Spain) has offered an interview to the newsmedia Church in Aragon, which we reproduce below. 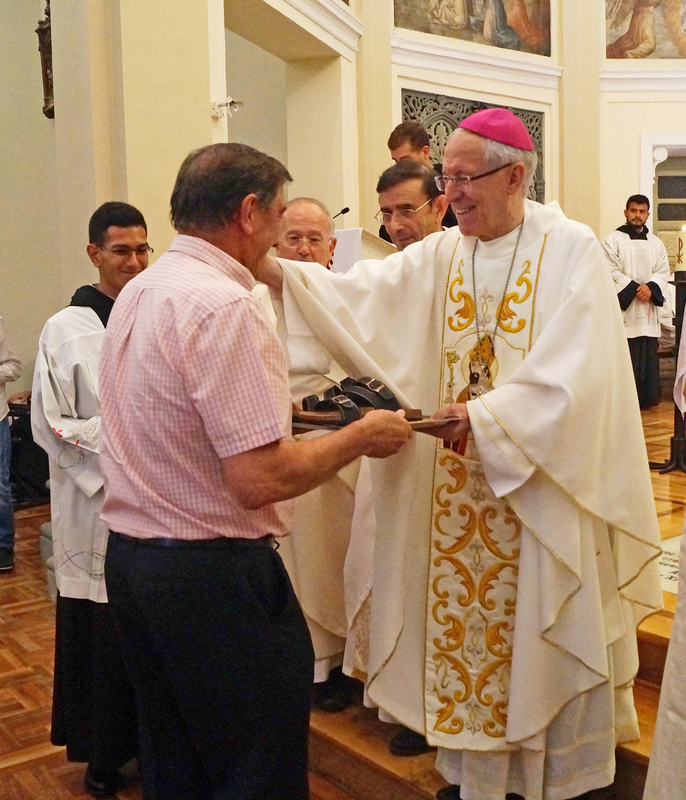 When he was 11, upon entering the seminary, the Augustinian Recollect Eusebio Hernández (Cárcar, 1944) had very clear that he wanted to give his life to others. 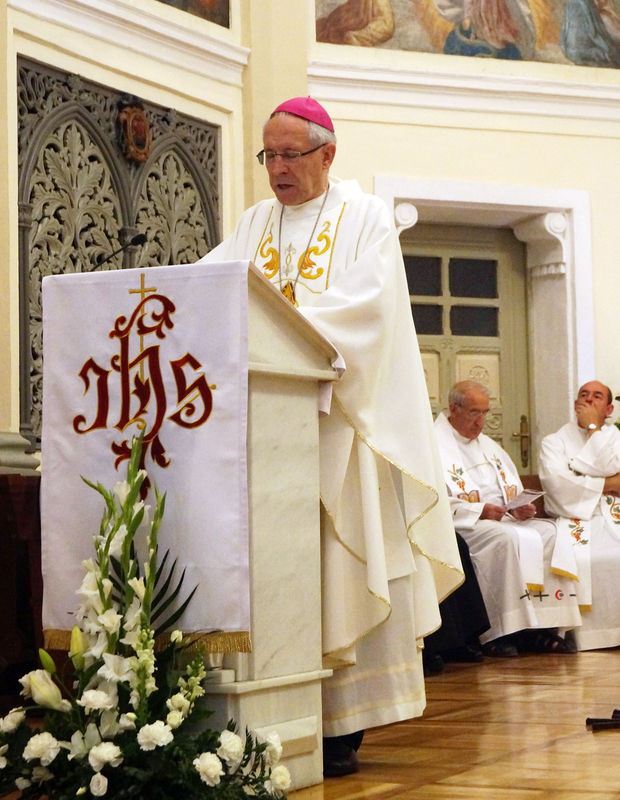 However, he did not imagine a God’s plan so multifaceted: religious, priest, member of the Roman Curia for 35 years and, since 2011, bishop. 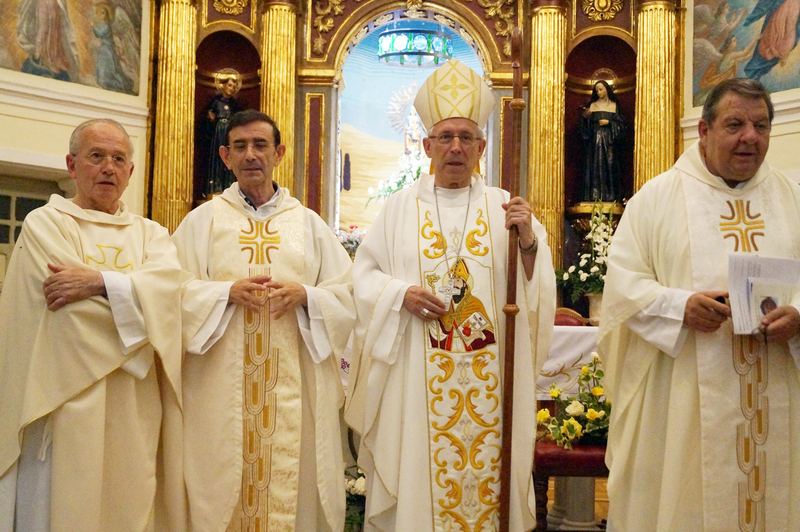 Today the shepherd of the Diocese of Tarazona reviews this intense career for Church in Aragon on the occasion of the golden jubilee of four priests including himself, which they celebrated on Saturday, July 7, at the novitiate convent of Monteagudo (Navarra). 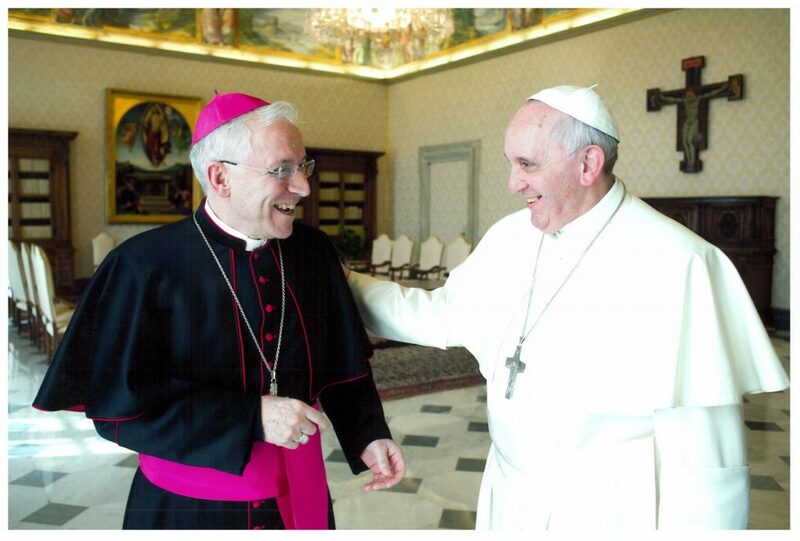 You have just had a meeting with the Pope. What did Francis tell you? 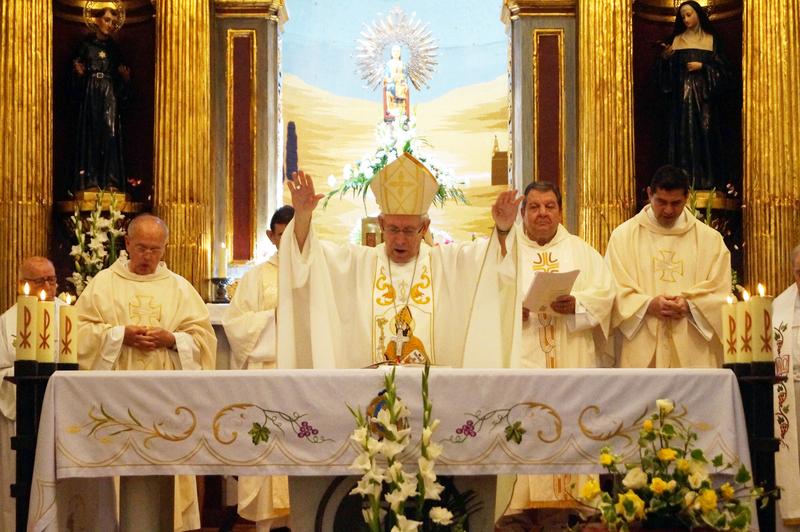 On June 19, I had the opportunity to celebrate the Eucharist with Pope Francis in Santa Marta. I found him splendid and in very good health. After the Eucharist, he granted me a personal audience. 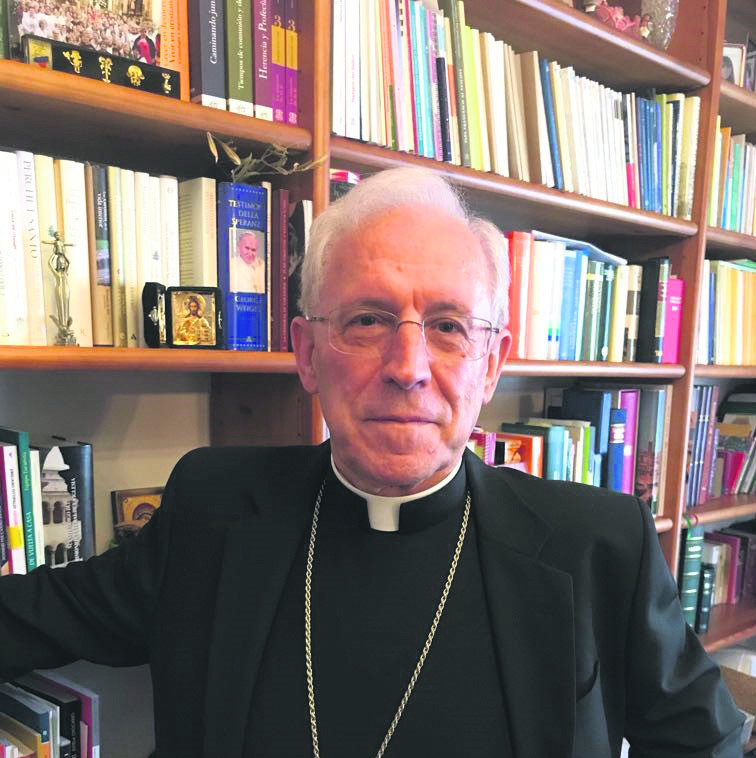 It was a privileged encounter, for half an hour, in which I expressed my concern and hope for the Church and my little Diocese of Tarazona.I shared with him that the Apostolic Exhortation Evangelii Gaudium had been a great help in my pastoral service. Finally, I transmitted to him the commitment of the church in Tarazona y Aragón to pray for him and with him. 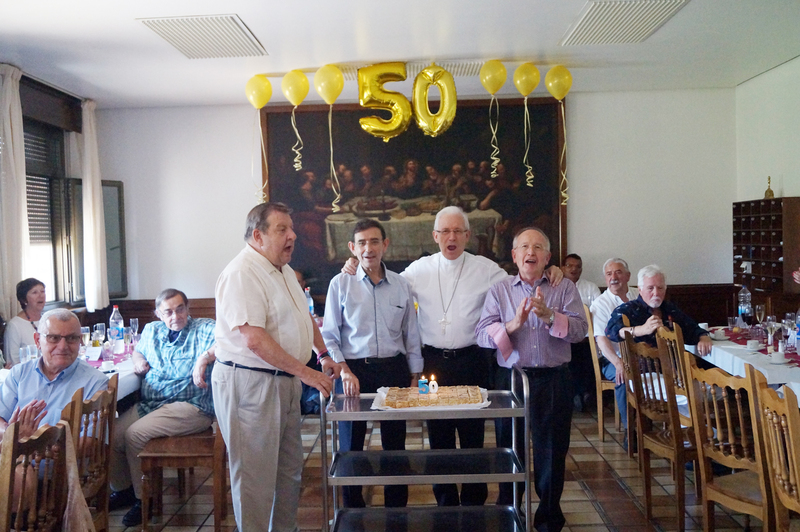 I was 23 years old when I received the sacramental grace of priesthood, and these 50 years have passed so quickly that it seems like yesterday. I’m still worried about finding empty the shopping cart of my life. For this reason, I ask the Lord every day to strengthen my faith, to renew my enthusiasm to follow him through, and to help me to spread his Kingdom. That is my daily plea, my deepest desire. What has the Order of Augustinian Recollects brought to your ministry? The Augustinian Recollects have inherited the way of life outlined by St. Augustine (354-430). Living fraternal life in common, we strive to follow Christ, chaste, poor and obedient. We search for the truth and we are at the service of the Church. We exert ourselves to grow in charity according to the charism of St. Augustine. The three essential elements of our charism are contemplative love, community ordered love and apostolic diffusive love. 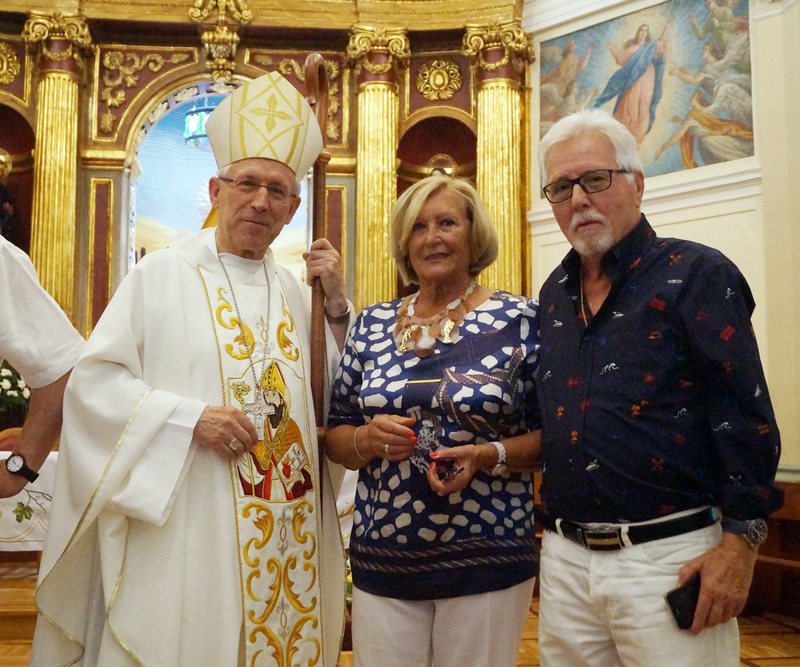 How do you manage to integrate the religious charism into the priestly and episcopal life? First of all, we are disciples of the Lord and we are all called to live the Gospel of Christ. "I am the way" (Jn 14,6). It is He who has called each and everyone of us in unity. The sacrament of Order is the same for all, although each individual religious exercises it in accordance with the charism of its founder and living in community. As a bishop, perhaps what I miss most is not having a community to refer to and to live with. Still, I'm fortunate enough to have Monteagudo, a community of Augustinian Recollects ten minutes from Tarazona. Whenever I can, I slip away to spend some time with them. 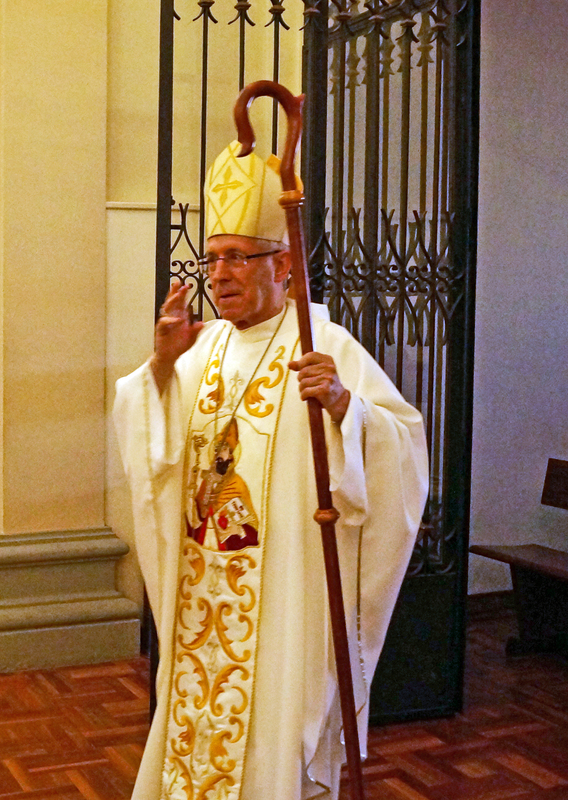 You arrived in Tarazona from Rome, after being appointed bishop by Benedict XVI in 2011. What a change! I was caught unaware by the Lord, while I was in the Congregation for the Institutes of Consecrated Life and Societies of Apostolic Life, where I worked since 1975. My life in Rome was full with activities, what with the formation of religious, meetings of bishops, travels… When I received the offer of the Holy Father, on January 10, 2011, I remained standing there, not knowing exactly what to say, but immediately a sentence of St. Augustine came to my mind: "If the Mother Church asks for your help, obey God with a humble heart." What marks have these seven years in Tarazona left in you? I feel a deep sense of gratitude and joy, because as a pastor of the diocese of Tarazona, I am making up for the emptiness I felt for not being able to share my pastoral life with the people. I enjoy sharing the anxieties and joys, the sufferings and hopes of the simple people. 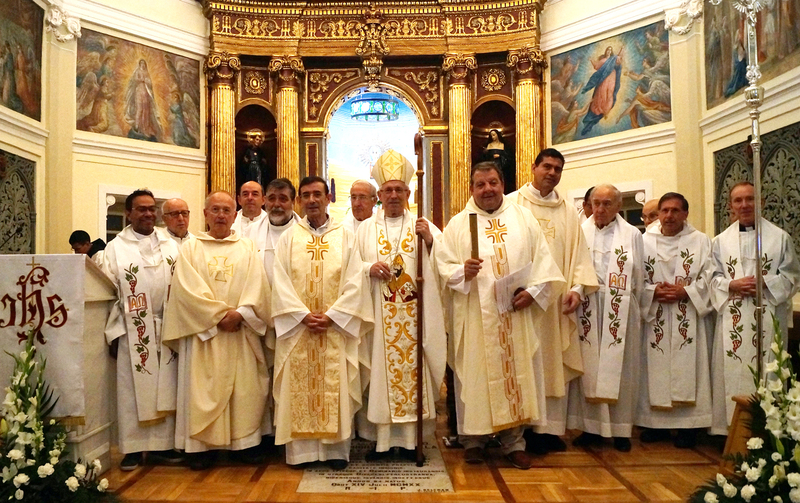 I am happy among my secular priests; we have formed a true priestly fraternity. I regret not being a few years younger, so that I could wear myself down in favor of these deprived towns and the simple people of this small, but very dear Diocese. Although time is short, I have some hobbies that help me to disconnect and rest. I am very fond of sports. I usually do a half hour exercise a day. And, when I can, I enjoy watching soccer, tennis, basketball... I am also passionately fond of reading. I like to be up to date, and I read about current issues in order to understand the mentality and interests of the people. How do you imagine the Church of the future? The hope of the Church has been and continues to be the Lord of history, the power of the Spirit and the fruitful presence of the Gospel. It's time to get down to work in order to build a Church that is more synodic, inclusive, and open to dialogue with the world and with other religious denominations. A poor church, a servant church, a witness of the Gospel that shares life and material goods with the disadvantaged of the earth, a prophetic spokesman in the face of so much injustice and suffering. As Pope Francis says, I also envision "a Church going forth in order to reach out the “peripheries” in need of the light of the Gospel, a Church that looks outside to the distant ones of our world”. Approaching times are no better or worse, they are simply different.